I wish I could fly each and every one of you to DC for Cherry Blossom season. Your own private tour of the beautiful flowering trees that welcome Spring with the joy of heaven's trumpets. These pink and white, cotton candy, fairy tale, clouds that grace our city for a few short weeks are a sure promise of time to be spent outdoors. For me a reminder that I am thrilled not to be running the race this year. All across DC you'd find residents snickering to themselves. The cherry blossoms bloomed early this year, fooling all of the tourists. 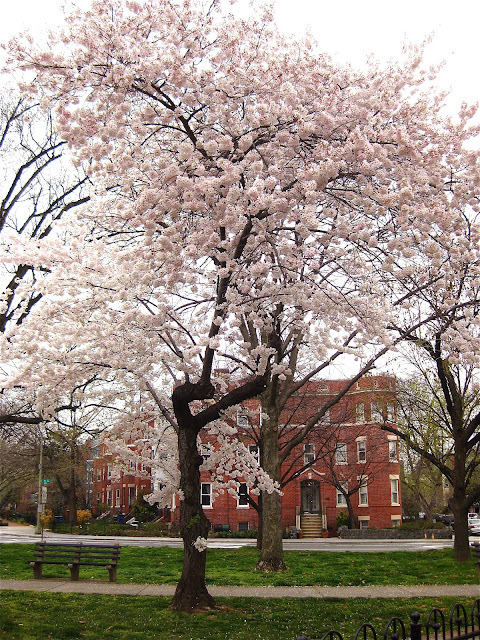 By blooming early, us residents are about to enjoy the beauty of our city, nearly uninterrupted. But since you are all off in faraway lands, I hope you enjoyed the pictures. It is seriously beautiful here. beautiful pictures shannon!!!!! i can't wait to visit dc!! i just wish those pretty flowers would still be in bloom! All I've ever wanted is to see the Cherry Blossoms! But sadly, I've always missed it. Sad :( But your pictures definitely help ease the pain! Gorgeous, and I am so jealous. I kind of love that they bloomed early, there is something special about enjoying your own city, just with your own people. seriously DC. what up with those amazing cherry blossoms?!!?! INSANE! hey, we're just outside of dc in nova! we're in dc all the time and we love it! love, love, loving the early blossoms!